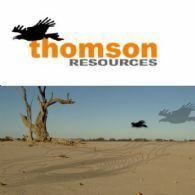 Thomson Resources Ltd (ASX:TMZ) provides the Company&apos;s Annual Report. 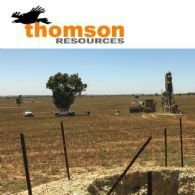 Thomson Resources (ASX:TMZ) is pleased to announce that approvals are largely in place and a drilling rig secured for drilling programs at each of its tin and gold projects in central NSW. 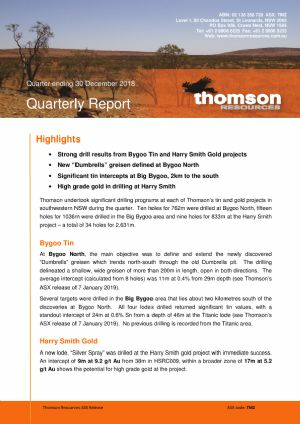 Thomson Resources Ltd (ASX:TMZ) provides the Company&apos;s Quarterly Activities Report for the period ending 30 June 2018. 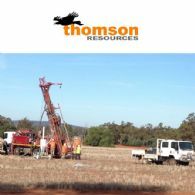 Thomson Resources Ltd (ASX:TMZ) is pleased to announce that it has finalised a placement of new shares to several investors for a total value of $360,000. 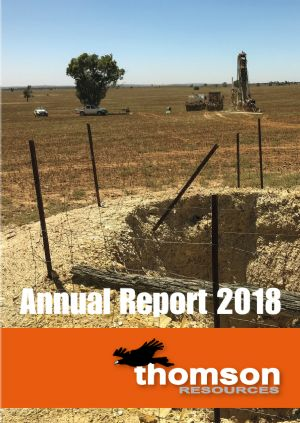 Thomson Resources Limited (ASX:TMZ) is releasing a revised version of its Company Update of 25 May 2018 following confirmation that the Bygoo farm-in rights have effectively transferred from International Battery Metals to BeiSur Ost Barat Agency Ltd, a private Canadian investor group. BeiSur continue to make their payments under a revised option agreement with Thomson. 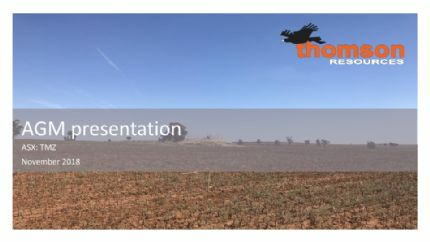 Thomson Resources Limited (ASX:TMZ) is pleased to release a new investor presentation, which the CEO, Eoin Rothery, will be presenting at a series of upcoming shareholder and investor meetings. 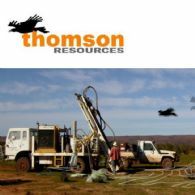 Thomson Resources Ltd (ASX:TMZ) provides the Company&apos;s Quarterly Activities Report. 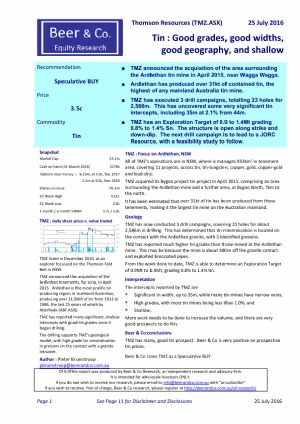 Thomson Resources (ASX:TMZ) is pleased to announce tin assays recently received from the 2018 drill campaign at the Bald Hill prospect near the old Ardlethan tin mine, NSW. Bald Hill is 12km south of the Ardlethan mine, or 20km south of the Bygoo prospects on the same exploration license (EL 8260). Thomson Resources (ASX:TMZ) is pleased to announce that it has received highly encouraging gold assays from its first drill campaign at the Harry Smith gold project, 30km south of Ardlethan, NSW. Five holes for 558m were drilled near old workings along the 400m strike length of the known lode.